When it comes to the reception after your wedding ceremony, this is where you get the bang for your buck! The ceremony itself will only last a few minutes, but the reception is where everyone will eat, drink and dance the night away! It is very important for you to have a great reception after your island wedding for a number of reasons. People will be hungry so you will need to have some food to fuel their drinking! People will also want to cut up and have a great time, so music is a huge portion of this as well. Your island wedding will already be incredibly romantic because you are on a tropical island! Your guests will be ecstatic they were invited and will view this holiday as a mini vacation for their family (even though it will clearly be all about the bride and groom). You may not have seen these people for years so it could also serve as a family reunion as well. Weddings are always a great time for family members to get together and catch up over some great food and fancy drinks. If you are having an island wedding, then the fancy drink possibilities are endless! Make sure you plan everything very far in advance. Since tropical island resorts book up to a year or more in advance, you need to lock down your venue as soon as you know where you would like to get hitched! Have a great time and enjoy the entertainment. There are plenty of times where having a fancy sit down fine dining experience is the perfect plan for a wedding reception. Having a destination wedding in Key West on New Year’s Eve is neither the time nor the place. This is the most fun night of the year – which is probably part of the reason you chose to throw the biggest party of your life on that night – so make sure that the menu you pick for your reception is one that allows for your guests to enjoy themselves. Conch, Florida lobster and stone crab are three of the fresh seafood choices Key West is most well known for. All of these are certainly items you should consider, especially because there are many ways to serve them as bite sized appetizers. This is the perfect way to combine the exotic flavors you wouldn’t be able to provide at a party back home with the convenience of being able to enjoy them while moving around the dance floor. And don’t worry if you have some picky eaters in your crowd. There are plenty of traditional menu items to choose from as well. There may be a lot of seafood options, but dessert in Key West comes down to the best key lime pie you’ll find anywhere. Best of all is that it doesn’t have to be served just as a pie. You can have them make a wedding cake with it, or create an easily sharable dessert option as well. Perhaps a little key lime on a stick as your guest’s first bite to eat in 2015 while in Key West. Serve Only Food You Like at Your Wedding Reception! 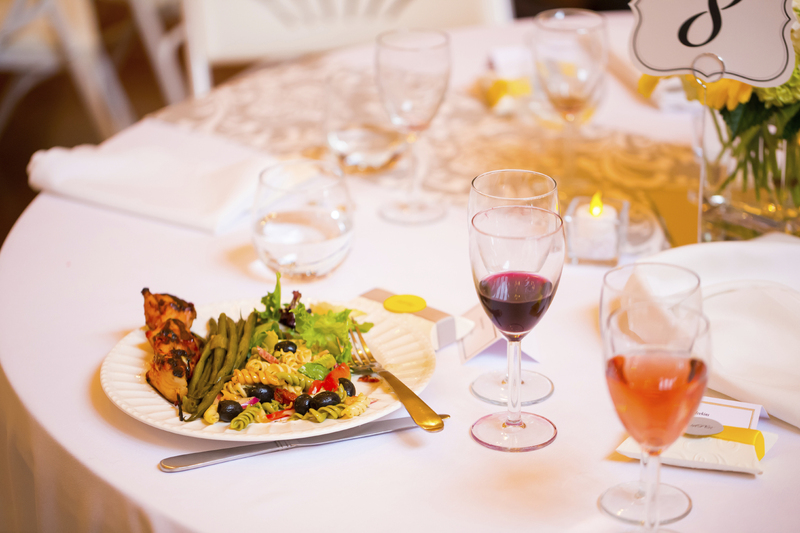 When it comes to choosing a perfect menu for your wedding reception, make sure you try to accommodate any guests with allergies, but also make sure it is food you will actually eat! People always say you are going to be too busy on your wedding day to eat any of the food, but you need to ignore them and make time to enjoy the food that you paid for…even if this means telling your best man to serve as a body guard for ten minutes while you scarf down a quick meal. There is no sense in throwing a fabulous island wedding if you are going to feel faint because you have not eaten anything all day! When it comes to choosing the actual food that will be served, keep any allergies in mind, but also, you should keep it simple with all things that you like. Trying to cater to every single one of your guest’s taste bud desires will only drive you crazy. This is your day and you should serve the food you want to eat. 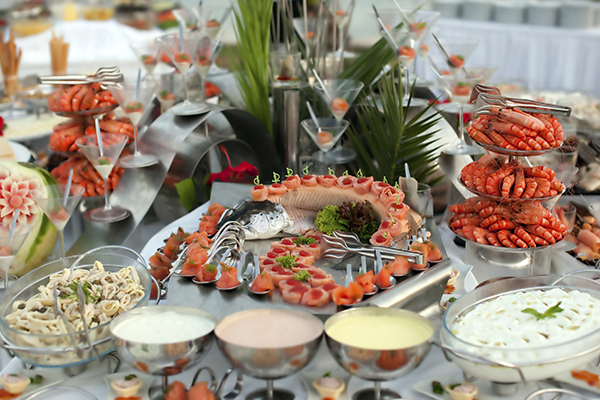 People will certainly remember if the food is good, so if you want to spend some extra money on hiring a great caterer for your island wedding, then that is certainly a great idea. Some women have different ideas of what is important to them on their wedding day, though, so whatever you decide will be fine as long as you can live with it! The entertainment will be excellent and that is all that matters. When you think of getting married on an island, you may think of eloping to a tropical island paradise where you can tie the knot in style and grace. Many people choose to go this route because of various reasons. 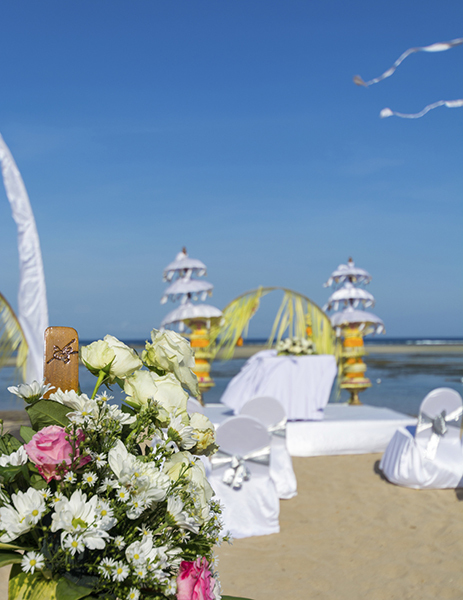 Some people prefer island weddings because they are more cost effective. Instead of throwing a huge party for all of your friends and family, you will essentially be throwing a party for yourself. If other people want to be there, then they will have to pay their own way. There is nothing wrong with this at all! Also, some people who get married later in life or are on their second marriage may want to keep costs low and not make a huge spectacle of their wedding since they have done that before. This is also perfectly fine and everyone who is important to you in your life will completely understand your decision. When planning your amazing island wedding and wedding reception, make sure you correspond with your contact at the resort or wherever is hosting this shin-dig. Since the destination may not be close to home, you may not be able to visit it to check out the scene before arriving for your wedding. It is absolutely crucial you ask every question you can to make sure everything will run as smoothly as you expect it to! This is a very important day in your life so there is no reason it should not be one that goes as planned with no surprises!